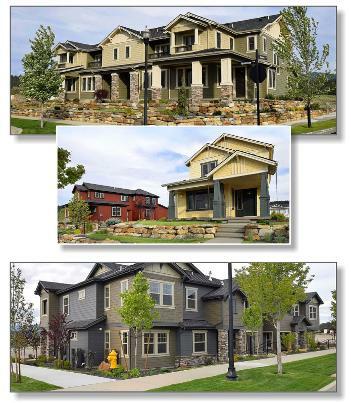 DH Design works with developer Whitewater Creek designing exterior color that will appeal to a variety of potential homeowners at The Villages at Stonehill, a parklike community located east of Spokane, WA. Bungalow homes appeal with brighter colors, and more muted but still current color selections fit the age-restricted homes. 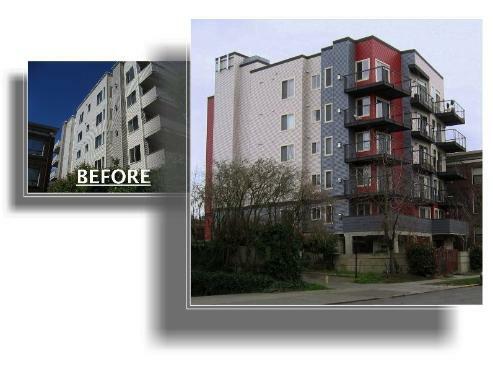 Updating this downtown Seattle apartment building, 212 Harvard, included high contrast vinyl siding color selections & bronze color coat at deck railings befitting the building's energetic, urban location in the Capitol Hill area. 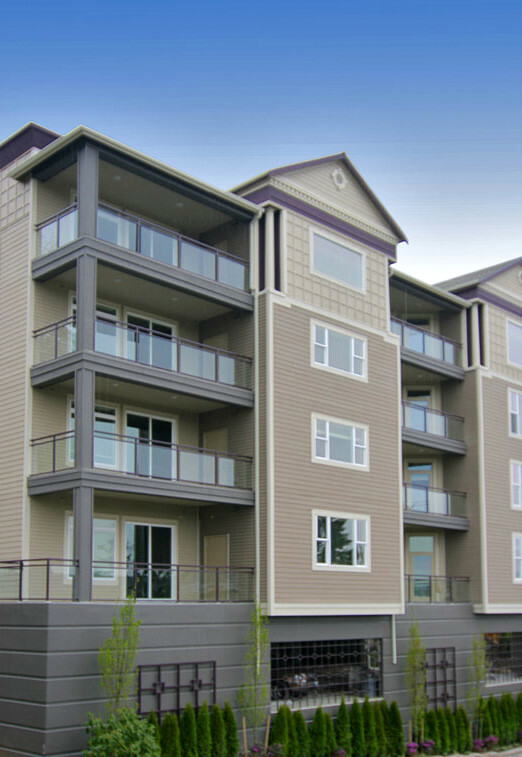 DH Design's scope at the award winning Fraser Court Condominium (Redmond, WA) included exterior color and details, courtyard pavers, signage, as well as common areas and interior design. 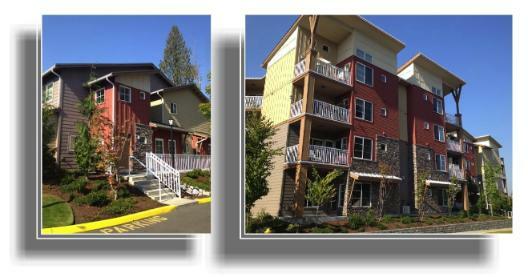 Providence Apartments (Bothell, WA) uses sunshine colors and feels fresh and clean. The upper body color was used as the trim color on the lowest windows, a simple touch that lends more complexity and interest. 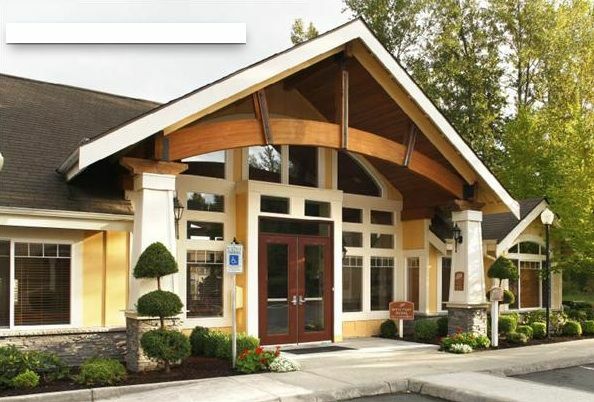 The Park East Building (Bellevue, WA) was a typical, neutral commercial building, and the owner wished to attract tenants from the area's many technology firms. 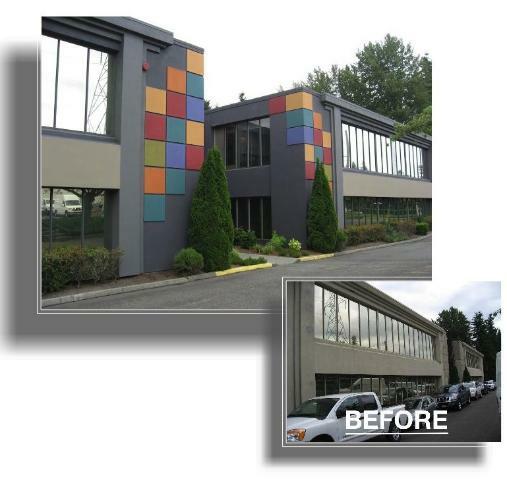 DH Design saw the building's existing, raised squares as suggesting pixels. The brighter colors highlight the main entry. 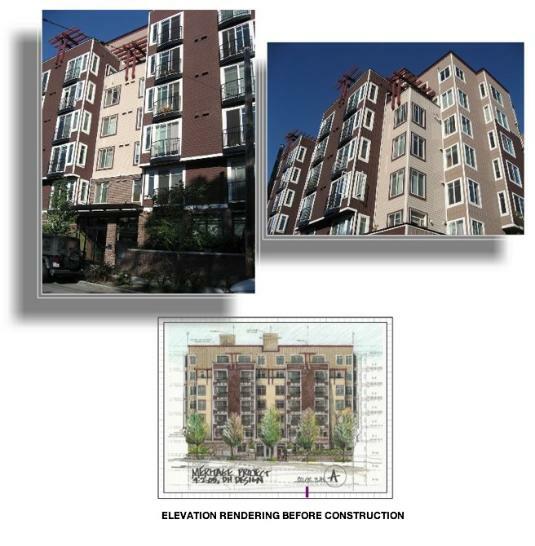 Meritage Condominium's exterior uses a muted plum against neutrals with a dash of clearer raspberry at the arbor detail. 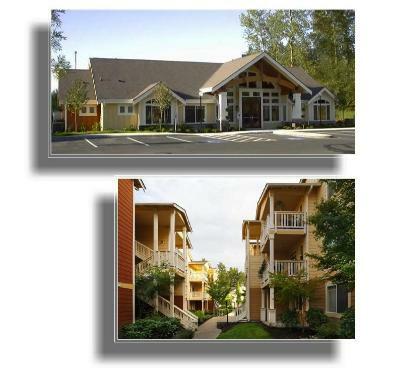 Redmond Ridge's Reunion Apartments (Redmond, WA) are a mix of stacked flats and town homes. Befitting its' location and materials mix, DH Design chose warm "country" red that pops against faux stone and other neutrals.